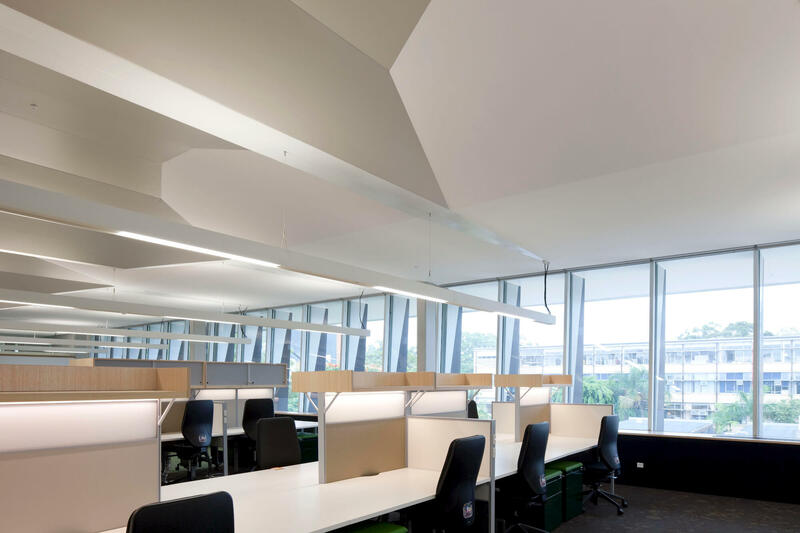 The University of Queensland’s Mansergh Shaw project added a new floor to an existing 4-storey building, for the School of Engineering’s key academics. 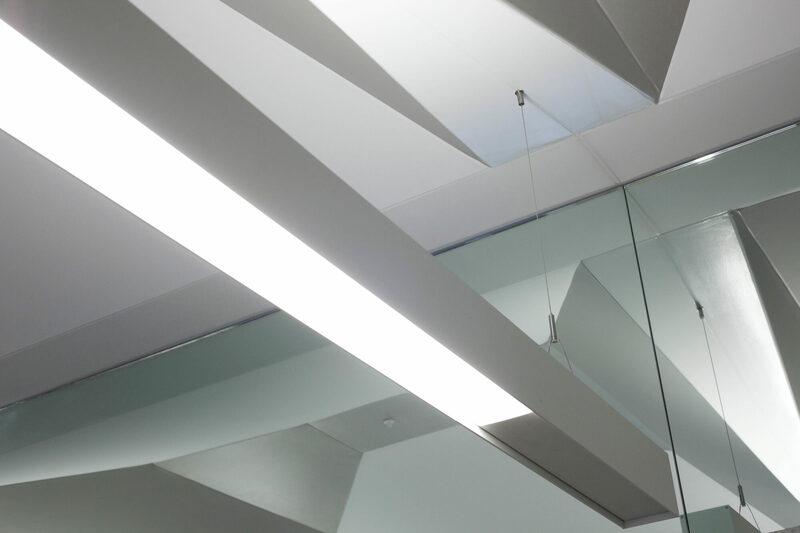 The project also incorporates upgrades to life safety systems and egress, internal stairs, toilets and the refurbishment of an existing lecture theatre. Our design for Level 5 takes advantage of being perched atop the existing building. 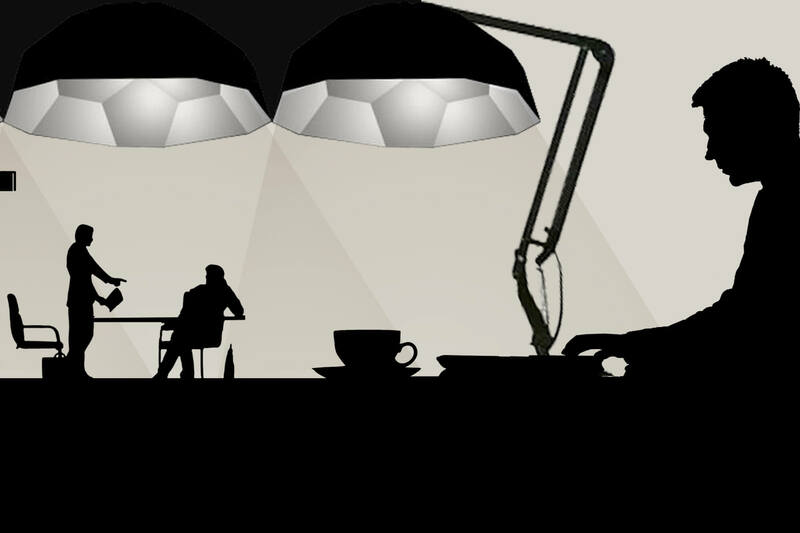 Suspended lighting, and services in the floor, allow the ceiling to freely reflect indirect light evenly throughout the space, drawing the eye outside. External glazing is tilted away from the inhabitant to encourage views down and out, as well as heightening the sense of being perched in a lookout. 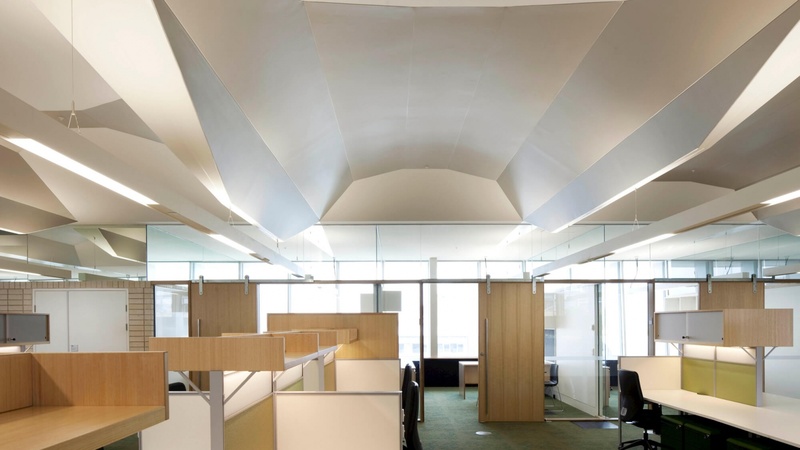 The ceiling plane in central areas is sculpted into a series of vaulted light shells, which create smaller spaces with their own identity, within the larger floorplan. Our design doubles the population of a 4-storey building with just one floor. 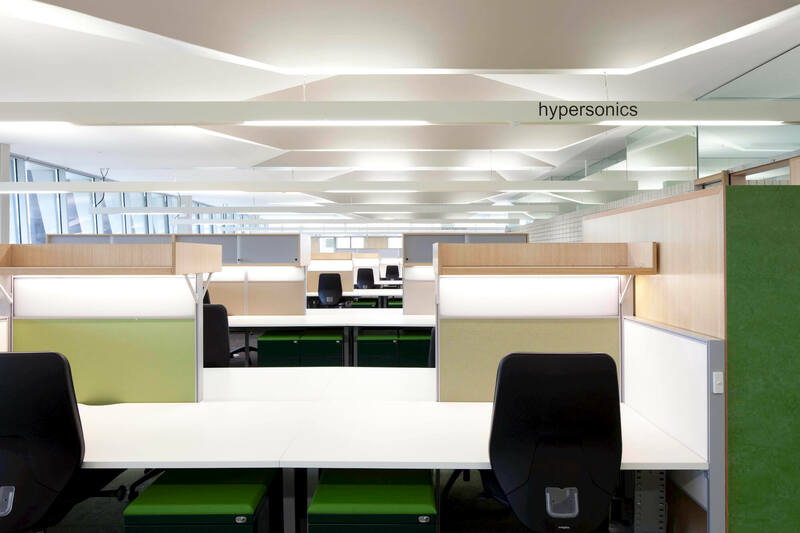 The collaborative work space acts as a ‘lookout’ with a soft, even, indirect quality of light throughout. 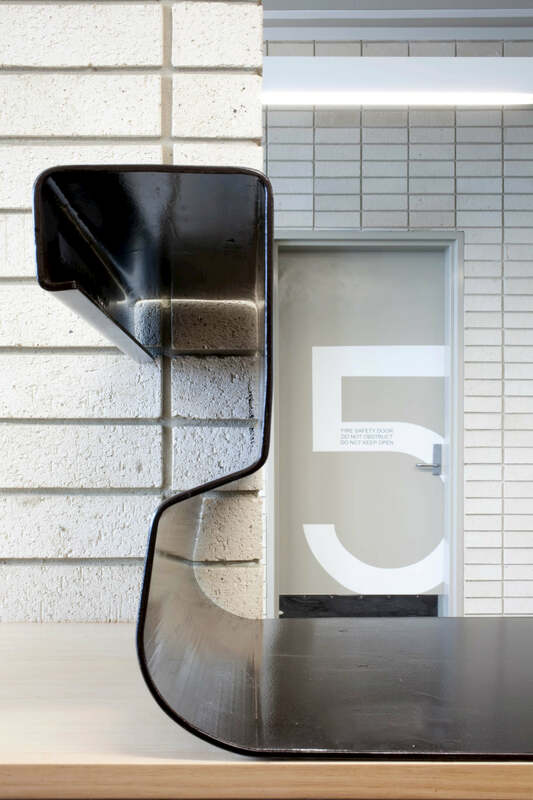 The space is complete with a series of sculptural forms that create a sense of personal identity within an otherwise large, open-plan workspace.